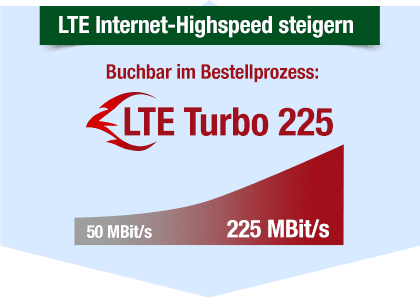 Internet-Flat bis 5 GB mit max. 50 MBit/s (Download) und 32 MBit/s (Upload). Danach max. 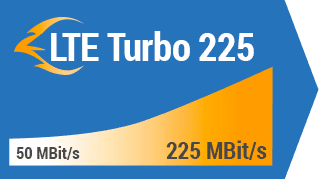 64 kBit/s (Download) und 64 kBit/s (Upload).